European Marine Energy Centre leads consortium from Ireland, the UK, France, the Netherlands and Germany. Funding for the project has been secured from Interreg North West Europe to accelerate the uptake of floating offshore wind. 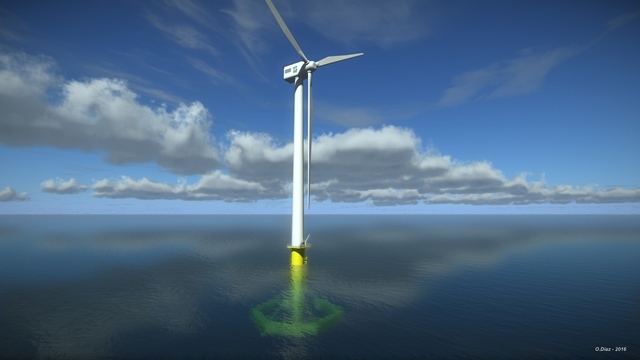 The project will demonstrate the survivability and cost-competitiveness of a floating offshore wind technology. It will also support the development of an active supply chain in the region which has some of the strongest wind and ocean resources in the world. The project is known as AFLOWT (Accelerating market uptake of Floating Offshore Wind Technology) and is the first project of its kind at such scale to draw on expertise from right across Europe. “SEAI is delighted to be part of the consortium and welcomes this initial step of gaining support from Interreg. We recognise that there are many significant steps to be taken to deliver this ambitious project and we will work with all project partners and local and national stakeholders to maximise local and national benefits. This project will show Ireland’s strengths, not only in terms of its significant wind resources, but also as a responsive, innovative and agile country”. EMEC will manage the project from the UK, with the initial kick off meeting of partners taking place in Dublin on March 12th. Once planning, permitting and supply chain requirements are in place, the floating turbine will be tested for a year at SEAI’s Atlantic Marine Energy Test Site (AMETS) off the west coast of Ireland. Deployment is currently planned for 2022. By testing at AMETS, the technology developed in AFLOWT will be proven in the harshest of North West Europe’s offshore environments, readying it for application at any deep-water offshore environment across the world.